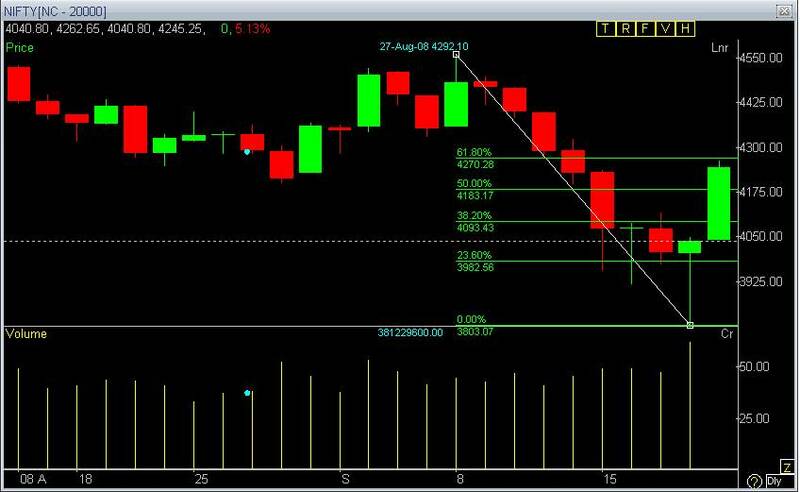 Chart 1 shows the fibonacci retracement between the recent high 4558 and recent low 3800 as per this retracement we almost completed the 61.8% retracement which comes near 4270. Dont know whether more steam is left upside or not!!! Chart 2 shows the fibonacci retracement between the head for formed near 4625 and th recent low. 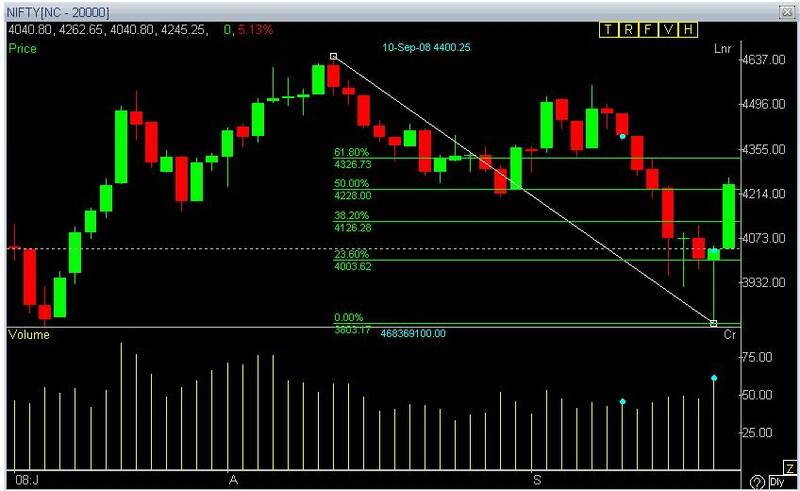 As per this retracement we already completed 50% retracement and the 61.8% retracement comes near 4326 shows some more upside remains though the hourly charts indicate oversold levels .The Uptrend may posibly take some divergence dowside here to meet support 4120 where the gap remains unfilled in Nifty Futures. 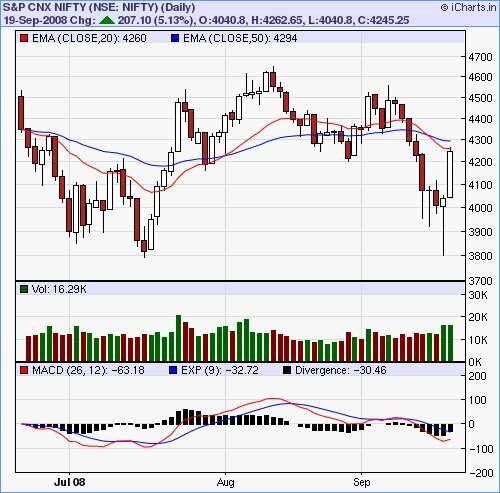 at 4294 as per daily charts which may act as a resistance. I dont think nothing changes overnight. If you see any upside more then it is good time to book your profits and get back to the market later in my tradng perspective. Iam not too much bullish or bearish at this time. Just to be neutal at this time.